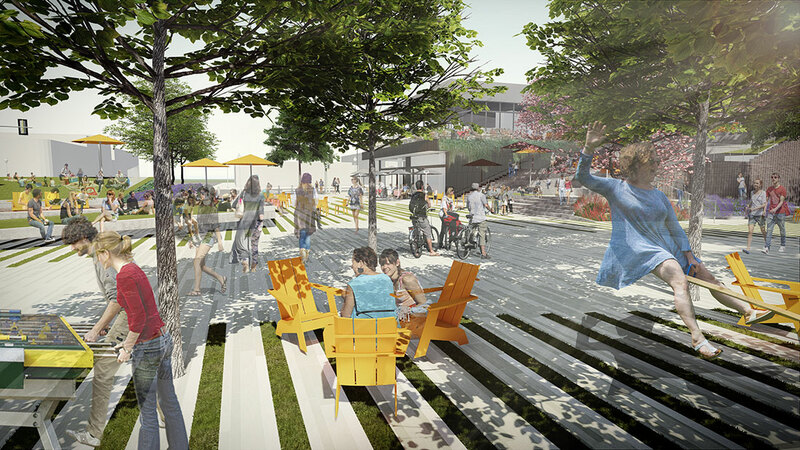 When it comes to plazas and parks, Los Angeles–area landscape architects and designers have big plans for the future. 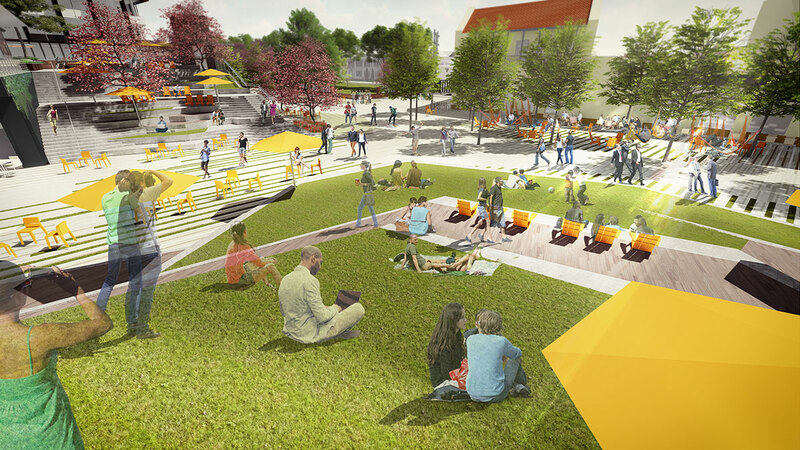 The region is slowly warming up to the possibility of a more pedestrian-oriented urbanism, and, as a result, public spaces old and new are being imagined to suit that potential future. And while the region is adding plenty of new parks—the new Los Angeles State Historic Park, the ever-expanding Grand Park by Rios Clementi Hale Studios (RCH Studios), and the now-iconic Tongva Park by James Corner Field Operations come to mind—attention is now beginning to shift toward redefining the public plaza as it is practiced in L.A.
One experiment comes from RCH Studio’s renovations to the Music Center plaza, originally designed by landscape architects Cornell, Bridgers, and Troller in association with Welton Becket and Associates in 1967. The stepped concrete plaza currently contains a Jacques Lipchitz–designed sculpture at its center, the art object surrounded by a maze of sunken courtyards, large planter boxes, and interactive fountains. 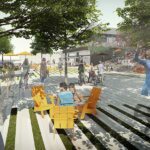 RCH Studios plans to revamp the plaza to make the space more ADA-compliant while also bringing pedestrian energy from bustling Grand Avenue up into the plaza. 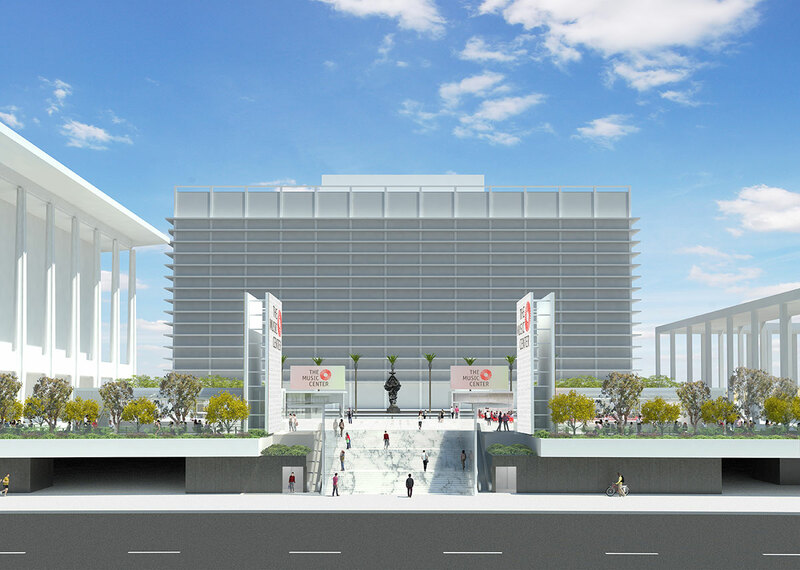 The complex is on the same street as the Walt Disney Concert Hall and the Broad Museum and sits on axis with Grand Park and City Hall, relationships that the designers wanted to emphasize and perfect over the course of their renovations. Bob Hale, partner at RCH Studios, said, “Creating open space in L.A. is a very different thing than doing so in other places,” explaining that one of the goals of the renovations was to make the plaza hospitable enough to function as a “fifth venue” to complement the four existing concert halls and performance spaces on the site. 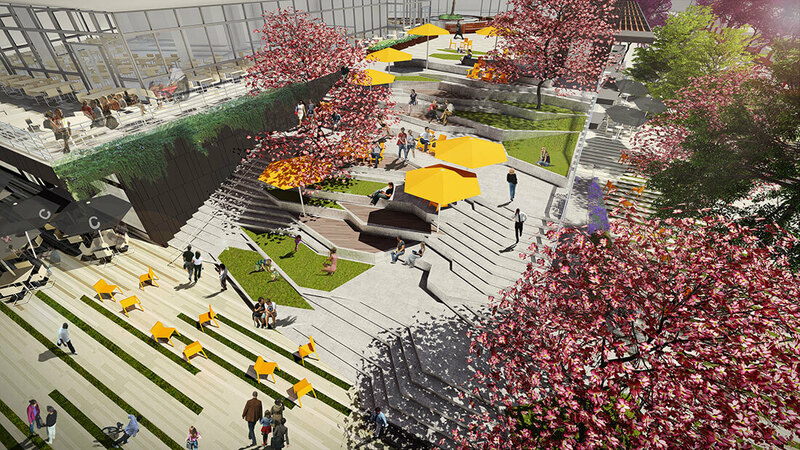 The proposed 50,000-square-foot plaza—scheduled to reopen in 2019—will be completely flat, punctuated at its corners by pavilions containing a full-service restaurant, a cafe, a bar, permanent public restrooms, and a welcome kiosk. 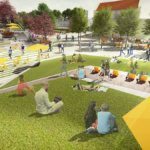 The project will also involve replacing existing—and over-pruned—ficus trees with new Agonis Flexuosa trees that will help create a more comfortable plaza as their canopies fill out. 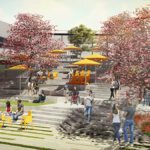 In Culver City, SWA Principal Gerdo Aquino and his team are working to create a new central square for the city on top of what was once a dusty parking lot. 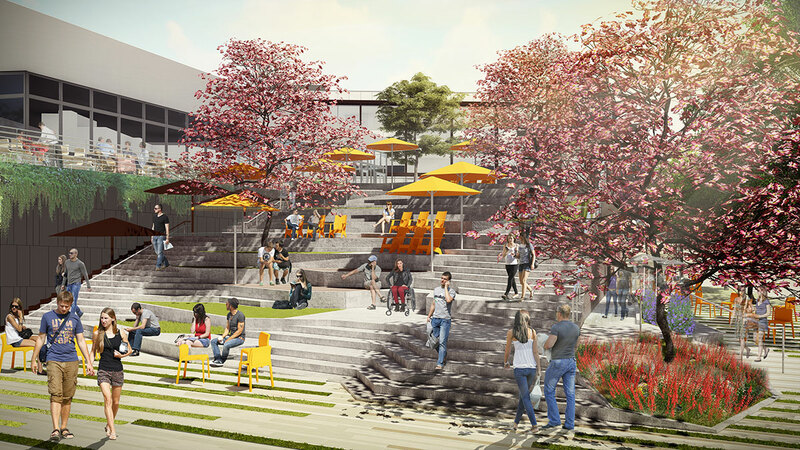 The firm’s Culver Steps project—created in partnership with EYRC architects and Hackman Capital Partners—is part of a podium-style development that will bring a new 55,000-square-foot stepped plaza with generously landscaped open spaces to the city’s core. The ascendant plaza will sit above a new underground parking garage and will share ground floor areas with a bevy of storefronts. A so-called “grand staircase” is to run up the slope, flanked by pockets of seating areas. The summit of the jaggedly stepped promenade will contain restaurants on one side and a four-story office structure on another. 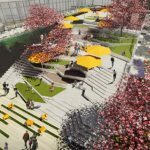 In all, the superblock- size project will unite a mix of squares and promenades served by the commercial and office spaces.